Lisa wants to ride her bicycle – what does she need? 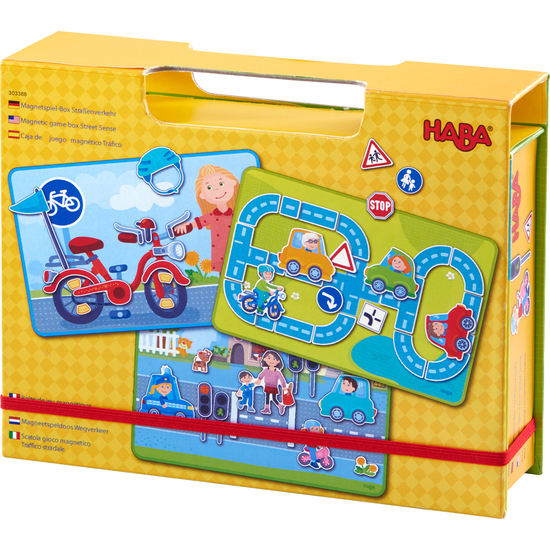 This amusing magnetic game box provides Lisa and her bike with all she needs, as children playfully become familiar with road signs and beginners’ traffic rules while puzzling together their own street grid with intersections, traffic lights and crosswalks. Contents: 1 box, 3 background pictures, 5 punch-out cards with 118 magnetic tiles.